Does It Make Sense To Apply For a Personal Loan? “what is a personal loan?” Well, a personal loan is a specific type of unsecured loan, “unsecured” meaning that you don’t put up collateral for the loan. In fact, when you take out a personal loan, you’ll almost immediately receive the amount borrowed from your lender in a lump sum and then repay whatever was borrowed with fixed payment terms and a set interest rate. For most people, depending on their financial situation and credit score, personal loans may very well be a better and more attainable option than a credit card because they offer much lower interest rates. Personal loans may be better options than credit cards because they offer better interest rates, which you can, in turn, take action on to improve your credit score. 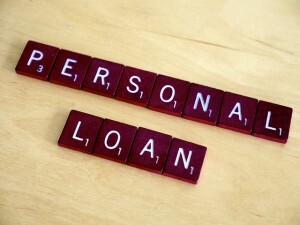 So how do you manage a personal loan? The answer is time and planning. First and foremost, don’t request more than you can pay off in a reasonable amount of time, and definitely don’t ask for more than what you need! Not only do you have to pay that money back within a certain timeframe, but you also need to pay loan origination fees and interest rates, which will add up if you can’t keep up with payments over time. Make sure you create and stick with a repayment plan in which you know exactly how much you need to put towards your personal loan each month. This payment needs to be made a top priority. In some cases, once you receive the money, it’s best to immediately send it to your lender. Create a repayment plan and stick to it. Know how much you need to allocate toward repaying your personal loan each month, and make it a priority in your budget. You may need to cut back on some discretionary spending, like meals out and shopping trips, in order to knock that loan out on time. It’s also important to fully understand everything about the loan and certain penalties that may come with it before you sign an agreement. Interested in learning more? Are you ready to apply for a personal loan? Speak with one of our personal loan experts at the Tio Rico location nearest you or call us today at 602-322-1010!